Raytheon-owned cybersecurity solutions provider Forcepoint on Thursday announced the launch of a new business unit focusing on critical infrastructure. The new unit will be led by David Hatchell, who has been named vice president of Critical Infrastructure. Hatchell, who previously led critical infrastructure units at Belden and Intel/McAfee, will report to Sean Berg, senior vice president and general manager for Forcepoint's Global Governments and Critical Infrastructure business. 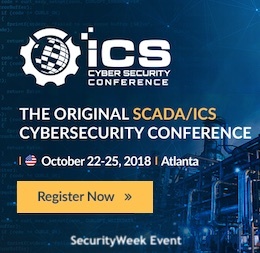 The initial focus is on securing the industrial control systems (ICS) used by organizations in the energy, oil and gas, critical manufacturing and other critical infrastructure sectors. Specifically, Forcepoint will deliver integrated behavior-based security products adapted for industrial environments, particularly solutions designed to provide more visibility into the potential threats facing ICS. The company promises to provide solutions for secure segmentation where remote access is required, and a baseline for monitoring industrial environments for threats. The solutions are advertised as being in compliance with standards such as ISA/IEC 62443, NEI-08-09, and NERC-CIP. Some of these capabilities will be powered by Forcepoint NGFW, a product designed to detect exploitation attempts, block malware, and defeat evasion techniques across physical, virtual and cloud systems. Forcepoint NGFW can quickly scan encrypted traffic while providing granular privacy controls, the company said. Another product offered to critical infrastructure organizations is Forcepoint Data Guard, which validates data transfers between OT and IT networks to ensure that only commands and data sets required for operations are allowed.